* East on 50/301 across the Chesapeake Bay Bridge. * Take the 4th exit, 39B (Dominion Road). * At traffic circle, exit 1st right on Castle Marina Road. * 2nd Right on Tackle Circle. * Cafe Sado just ahead on the left, in the Historic Castle Marina Inn. * West on 50 or 301 toward Chesapeake Bay Bridge. 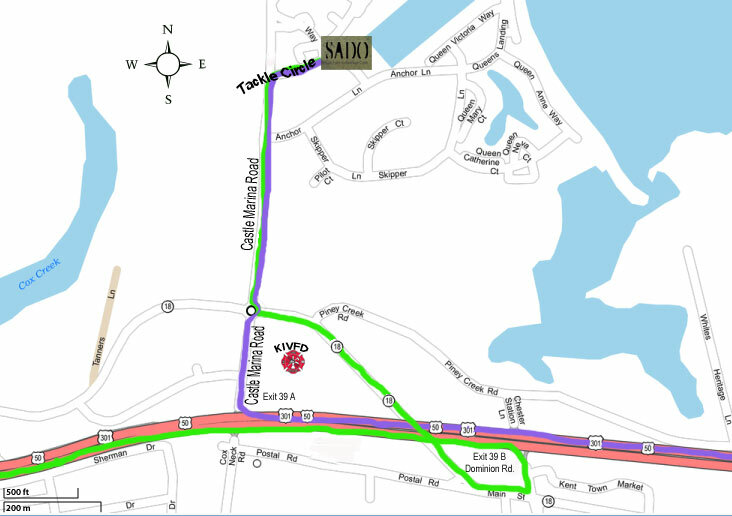 * At traffic circle, exit 2nd right on Castle Marina Road.